Web-based collaboration platforms are common enough—we know plenty of companies that use them to manage their teams—but most of them offer a defined set of features and are targeted at companies. But what if you just want to collaborate with your friends? 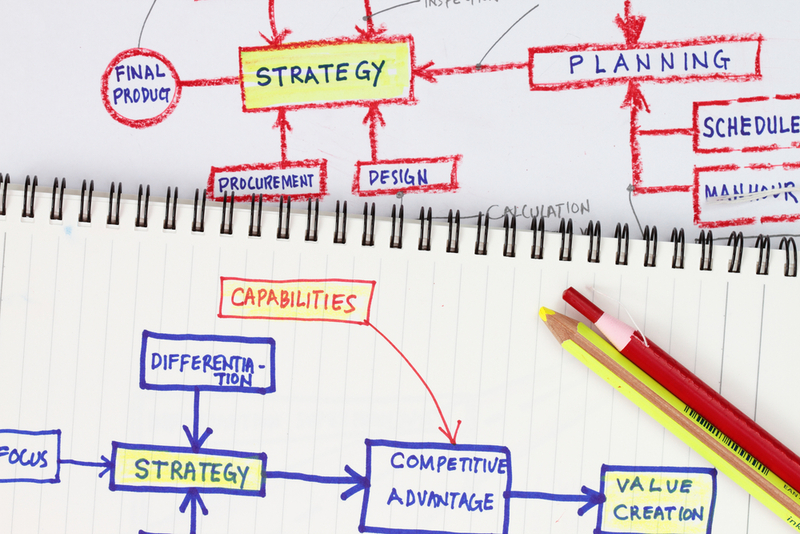 Or if you want a simpler solution for your small business? 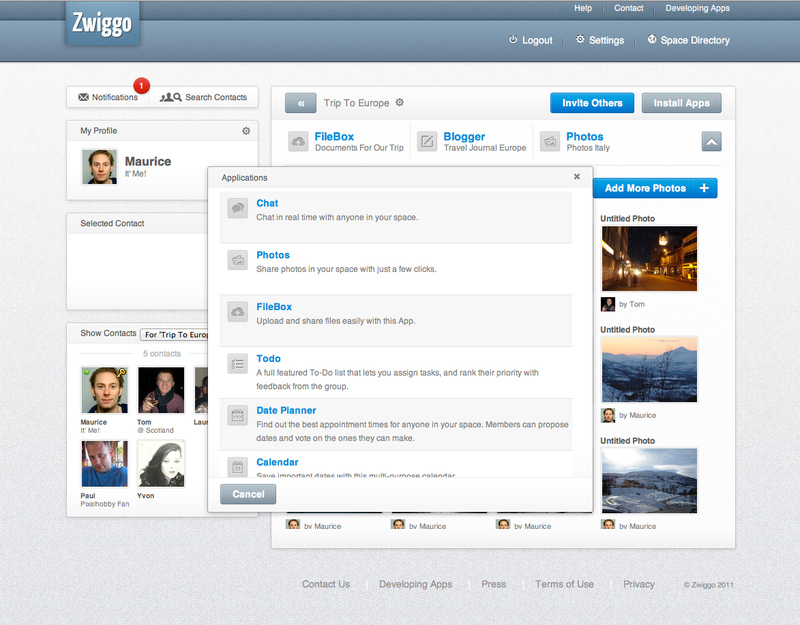 Newly launched startup Zwiggo thinks it has a solution for you. Zwiggo puts you through a quick signup procedure and then starts you off with a blank slate. You can then wait to be invited to a space or choose to join one from the public spaces directory. Or, if you are the industrious sort, you can create one yourself and invite your friends or colleagues. Again, you see a blank slate. If you want a calendar in your group, you have to install an app for it. Want chat capabilities? There’s another app for that. There are apps for chatting, sharing photos, files, links, documents and books, creating and assigning to-dos, date planning and calendaring, putting up sticky notes, having discussions, mapping out locations, blogging, getting votes and making decisions. That’s just the set it starts you off with; more will be coming in the future as they open up their APIs and developers start taking advantage of the platform. We may see integration in desktop and mobile apps as well. All of that is in the future. Right now, it’s just a Web app, and it works pretty well. It is simultaneously confusing and simple. When you first sign up, you get a sense that you don’t quite know what to do with it. The UI encourages you to create a space, but you’re not sure what to create one for. Once you get started though, it becomes quite clear how the service is intended to be used. 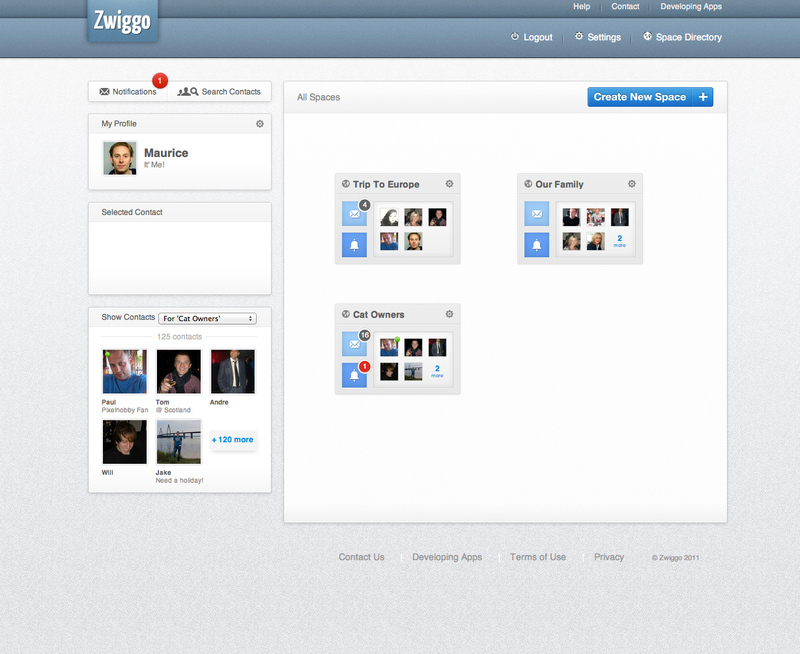 One important feature of Zwiggo is the ability to make spaces public, so you can invite others to participate in them and decide on which apps you want to use. You can rally around common interests, form a book club or talk about movies. 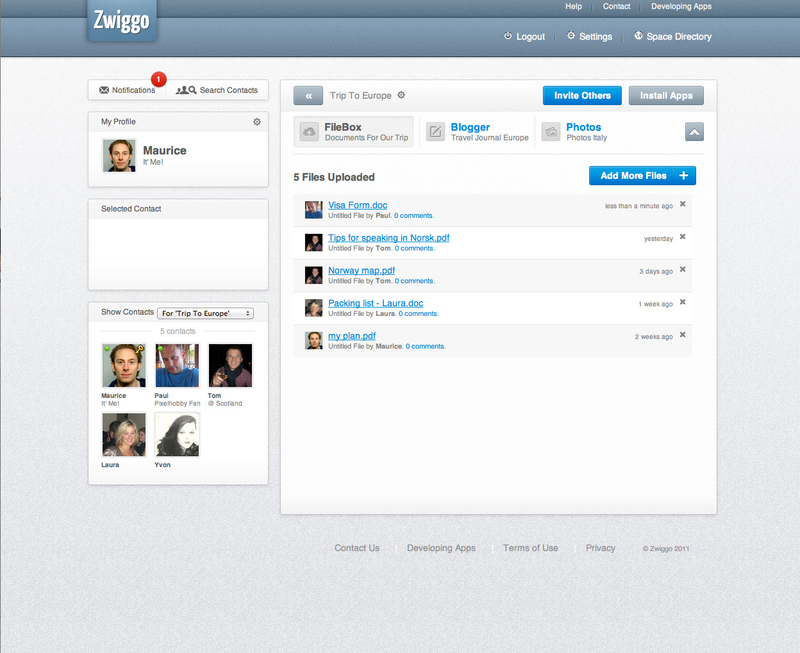 It becomes less about collaboration and more of a social network at that point, fuzzing the boundaries between the two types of services, but that seems to be the aim of Zwiggo anyway. It is clearly a v1.0 service and has room to grow is all directions. Email updates do not work right now, even though the option is present, and the only form of notification are small badges that get overlaid on your spaces and on the apps within the spaces. The badges aren’t dynamically updated either, so they aren’t a very effective way to stay on top of what’s happening. Once a space starts to become busy, we anticipate seeing a lot of those tiny badges all over the place, and that isn’t something we are looking forward to. We also ran into a few rendering issues in the Windows version of Google Chrome, though it seemed to work just fine on its Mac counterpart. At this point, it all feels very unfinished—which it obviously is—and it’s difficult to pinpoint what the target of this app is. Is it for groups of friends and family, like Facebook’s Groups feature, or is it for businesses, like the Basecamp or DeskAway apps? There is definitely a lot of promise and the Web app seems like a solid foundation to build upon. What Zwiggo already has is very polished, but it needs to gain new features fast if it is to take the place of more established players in this field. We’ll be keeping an eye trained on its future developments. Read next: Sina Weibo 'rumor control' team explains how it keeps the web "unpolluted"